Section 1—What is Health and Wellness Coaching? Section 1: What is Health and Wellness Coaching? Organizations and businesses realizing that investing in the health and wellbeing of their employees yields the best long-term return on investment that can be had. Health and wellness coaches have a variety of tools at their disposal. Recent developments have provided even more tools to enhance the impact of their coaching. Other emerging precision health (genomic-informed) decisions. As a result, health and wellness coaching is not only an exciting and important field but is rapidly emerging as a thriving one with many opportunities to make a difference and to specialize. Health and Wellness coaching requires a unique set of knowledge and skills that are not taught in traditional coach training programs. 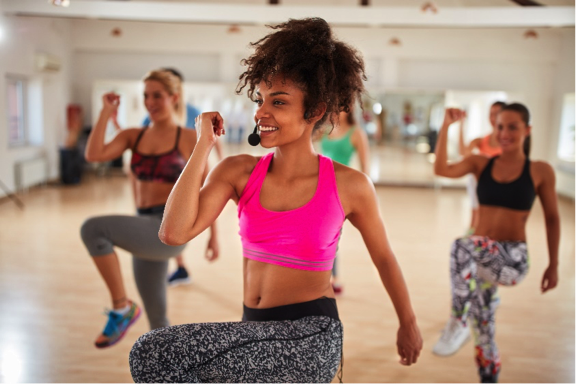 That includes a thorough understanding of evidence-based processes of lifestyle change as well as lifestyle, health, wellness, and positive psychology. Health and wellness coach training and education has evolved over the past several years and our MentorCoach program has evolved with it. MentorCoach’s health and wellness training faculty continues to stay up-to-date with the national trends, consistently assures that our program meets national standards, and goes beyond that to have an active voice in the development of the field. It is because of this unique set of knowledge and skills that health and wellness coaches around the world have felt that a credential from the International Coach Federation alone cannot identify who may be a competent health and wellness coach. So, a number of coaching leaders in this emerging field came together to create the National Consortium for the Credentialing of Health and Wellness Coaches (NCCHWC), which has now become the International Consortium for Health and Wellness Coaching (ICHWC). This international designation was initiated recently because of international interest in what was initially a national consortium and a national exam. The website is: ichwc.org. Through Patricia Hinton Walker’s involvement as an Advisory Committee member, MentorCoach has been and continues to be closely involved with the ICHWC. She is currently engaged with the development of the Code of Ethics and Scope of Practice and has also served as an item-writer for the national certification examination. Pat is a member of the MentorCoach faculty and teaches two of our Health and Wellness master classes. We need professional standards in health and wellness coaching for several reasons. One is the focus of the coaching; anyone involved with our health must be verifiably competent. We must protect the public from inadequately trained coaches who may share erroneous information. We must also assure as best we can that coaching in this often sensitive area is respectful, compassionate and empowering to the client. When individuals, groups, or organizations seek coaches to assist them in improving health and wellness, there should be some indicator of a coach’s competence. Health and wellness coaches should be well-prepared to work with clients on major issues of health, activity/exercise, stress management, relationships, nutrition and diet, self-compassion/care, and assisting clients with self-management of chronic conditions. Consequently, a group of health and wellness coaching leaders associated with the National Consortium for Credentialing of Health and Wellness Coaches conducted a ‘job-task analysis’ to clearly define health and wellness coaching and to set the standards for education and training in this important emerging field. The National Certification Examination (NCE) is based on the core competencies that are vital to effective coaching. The NCE is grounded in current evidence-based recommendations by important public health groups such as the Center for Disease Control or National Institutes of Health. Certification establishes a minimum standard for credentialing professional health and wellness coaches. Certified health and wellness coaches stand apart from coaches who have not received adequate coach training or assessment of their coaching skills and knowledge. By achieving such national certification, you will become part of a recognized network of professionals leading the industry in health and wellness coaching. The ICHWC has established a pathway for practicing health and wellness coaches to earn the National Certification via a Transition Phase. To be eligible to participate in the Transition Phase, individuals must have completed a program from an organization that has been approved for this purpose by the ICHWC. Our Health and Wellness coaching program at MentorCoach is an Approved Transition Program. To learn about the development of the national credentialing exam, see the ICHWC press release. The first examination has been developed and will launch in September, 2017. The next national exam will be held in June of 2018. A certificate of completion of an Approved Transition Program (in this case, from MentorCoach). A written log of 50 health and wellness coaching sessions of at least 20 minutes in duration, with at least 75% of each session devoted to coaching facilitation and not education. They may not be sessions with friends, family or classmates. They can be either paid or pro bono. The coaching log must include coded identity, date and time, session number (e.g. 1, 2, 3 etc.) and coaching. After completing the MentorCoach Health and Wellness credentialing process, download and complete the ICHWC Coaching Log at: ichwc.org/individuals/. Demographic information (e.g. education, work experience) for ICHWC research purposes. Those seeking ICHWC certification are responsible to acquire the healthy lifestyle knowledge summarized in the NCCHWC Healthy Lifestyle Domains. This information is available at the ICHWC website. There are three routes to become a Certified Health and Wellness Coach through MentorCoach. Complete the four Health and Wellness coaching classes listed in Section 5 below. Pass a multiple-choice exam on the class content with a grade of 80% or more. Demonstrate that you have completed at least 40 hours of coaching focused on such Health and Wellness coaching issues as weight management, eating, and nutrition; physical activity and exercise; stress and mindfulness; sleep and energy; and/or addiction issues involving, for example, smoking or alcohol. Complete the four required coaching skills classes (Foundations; Individual Coaching Skills; Individual Coaching Skills Supervision; Ethics and Risk Management). Document that of those 100 hours, you have completed, at least, 40 hours of coaching focused on such Health and Wellness coaching issues as weight management, eating, and nutrition; physical activity and exercise; stress and mindfulness; sleep and energy; and/or addiction issues involving, for example, smoking or alcohol. Successfully pass your (pass-only) interim exam and your final written and oral coaching exams. The oral exam will be on a Health and Wellness coaching topic. Please note that upon receiving your CMC (Certified MentorCoach) and meeting the requirements above, you are immediately eligible to receive your Health and Wellness Certification and your ICF Certification as well. Demonstrate that you have completed, at least, 100 hours of coaching with 40 of those hours of coaching focused on such Health and Wellness coaching issues as weight management, eating, and nutrition; physical activity and exercise; stress and mindfulness; sleep and energy; and addiction issues involving, for example, smoking or alcohol. We offer four extraordinary Health and Wellness Coaching Master Classes, totaling 52 hours of training. 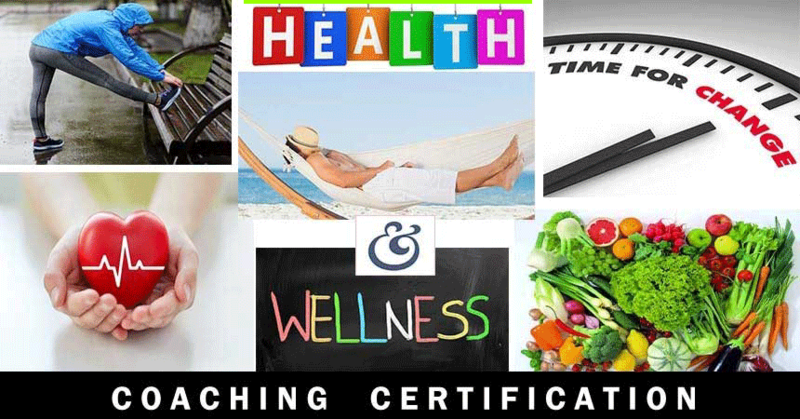 All four must be successfully completed to become a certified Health and Wellness coach through MentorCoach. The Four Health and Wellness Master Classes are shown below; please see them listed on our Master Classes page for time and date of next offering. For full class descriptions and teacher bios, click on the links there. Click anywhere in the list below to go to the Master Classes page for more information. The classes described below have no prerequisite, so you can begin with any of them and can even take two simultaneously. You can begin either in Spring or Fall with any of these classes. And you can theoretically complete all four in a single year. Living and Coaching the Good Life: It’s All About You (12 hours) This class teaches you to learn and live the principles of wellness as you create and use your own personalized wellness plans. By extension, the lessons taught apply to your coaching clients. You will explore and deepen your understanding of your needs, values and goals through use of exercises in awareness, visioning and goal-setting. Together we will embrace the psychology of possibility as we delve into the necessity of fun, connectedness, meaning, and contribution. 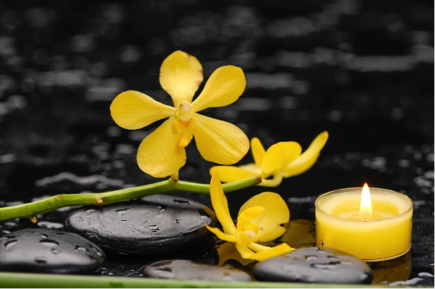 This class explores the integrative holistic models of wellness coaching, definitions and wellness principles designed for lasting lifestyle change. You will learn about the far-reaching value of mindfulness and self-compassion for enhancing motivation, coping, and emotional wellbeing; promoting positive health behaviors; and maintaining healthy habits. The course examines cutting edge research from top neuroscientists, physicians and psychologists such as James Prochaska, Ellen Langer, Kristin Neff, Jon Kabat-Zinn, and Andrew Weil. Mastering Wellness Coaching Interventions (12 hours) This class is designed to put the Health and Wellness coach’s skill-set into action by helping you coach your clients towards their goals of improved lifestyle. In this wide-ranging course, we will cover sleeping difficulties, poor diet, overweight/obesity, inactivity, increased stress, energy depletion, and tobacco use, along with strategies for making progress in each area. We’ll also discuss issues unique to different developmental stages including: teens, pre-post pregnancy, menopause, and aging. Topics to be explored include effective goal setting, will-power, self-esteem, self-efficacy and more. We will also examine evidence-based coaching models for change that are particularly valuable for clients seeking to make and manage sustainable lifestyle changes. You will leave with your own personal toolbox of evidence-based coaching models and interventions to use with clients who seek coaching for health and wellness challenges. Living and Coaching the Good Life: You and Your Clients (12 hours) Many people working toward greater health and wellness, including many coaching clients, start off motivated but fall off the wellness wagon after a time. Stress is often cited as a factor in this. What is needed is to develop an inner trust in ourselves so that we can become more aware, listen to the body and react to stress in a more positive way. Without addressing both the mind and the physiology of the body, it’s hard to get lifestyle and behavioral changes to stick. In this class, we consider the science of mindfulness, self-compassion, habits, exercise and sleep, as well as how to go deeper with clients using complementary mind/body strategies. Learning and practicing mind/body techniques can help our clients become more confident, optimistic and resilient. This class will help you develop a toolbox of cutting edge approaches to help clients become more aware and empowered, make healthier choices and sustain positive health behaviors. Note: MentorCoach reserves the right to modify the requirements for certification or tuition at any time.